CHRISTCHURCH, New Zealand, May 3, 2011 (ENS) – A foundational agreement was signed in Christchurch today creating the Infrastructure Rebuild Alliance to repair the city’s infrastructure damaged by the 6.3-magnitude earthquake that struck on February 22 and a series of previous quakes. Alliancing is an approach to delivering complex large-scale projects where clients, consultants and contractors from several organizations work together to meet quality, cost and time targets. Transport Minister Steven Joyce says the newly established Alliance to rebuild Christchurch is a great step forward for the city. 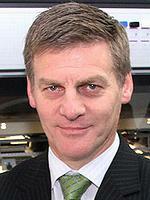 “The Alliance will use labour based in Christchurch. This will serve to stimulate the local economy and provide the best response available to the needs of affected residents,” he said. The state of national emergency declared for Christchurch expired Sunday, leaving the national government with a NZ$8.5 billion commitment to rebuild the damaged metropolis of some 375,000 people, New Zealand’s second largest city. 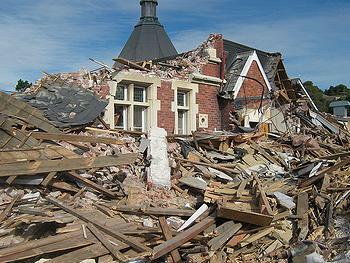 Government officials are calling the earthquakes the worst natural disaster in New Zealand’s history. While no one was killed in the previous quakes, the February 22 death toll is estimated at 180, with hundreds more injured. The recovery and rebuilding effort will be directed by the newly formed Canterbury Earthquake Recovery Authority, authorized by Parliament under urgency on April 14. CERA took over from the Emergency Operation Centre on Friday. The Christchurch alliance includes CERA, the New Zealand Transport Agency, the Christchurch City Council, Fulton Hogan, Downer Construction, Fletcher Construction, MacDow New Zealand and City Care. The alliance will operate under a 120 day interim agreement. Council General Manager Capital Programme Kevin Locke said city staff worked with New Zealand Transport Agency, NZTA, to determine how best to deliver the large-scale rebuild of city infrastructure and he is convinced that an alliance is the best way forward. 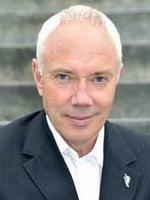 CERA will lead the recovery strategy, policy and planning; coordination and planning of infrastructure; all individual building inquiries; cordon management including access schemes for business, temporary and residents; demolitions and debris management; the Cashel Mall Re:Start project; and business communications. 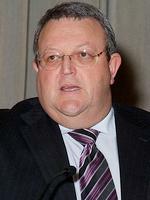 CERA also will be responsible for economic recovery coordination as well as skills and workforce planning. The Council will be responsible for water and waste issues; roading and traffic management; kerbside collections; water conservation and restrictions, including the state of the city’s waterways which will be shared in conjunction with Environment Canterbury; and a rodent management plan. Also, the Council will be responsible for earthquake prone building policy; heritage; resource consents; Central Business District business putrescence cleaning; and flood protection. Mayor Parker said his concern that the central government would insist that the City Council sell its assets to pay for earthquake recovery was put to rest by Earthquake Recovery Minister Brownlee. “Brownlee has made it very clear to both the media and to me personally that he has no intention of insisting that the Council sell its assets, including our council companies, to fund the earthquake recovery bill,” said the mayor. Mayor Parker today invited all Christchurch residents to get involved with recovery planning for the Central City through stakeholder workshops, panel discussions, focus groups and social media events. “We are holding a Community Expo at the CBS Arena on Saturday 14 May and Sunday 15 May for residents to share their ideas on the redevelopment of the Central City. We need everyone’s ideas if we are to create a Central City where people want to live work and play,” the mayor said. “The community has until the end of June to share their ideas before the draft Central City Plan is written, and in line with government legislation, is released for formal public consultation. During this phase the public will be asked to comment on the content of the Plan, through submissions and taking part in Council hearings,” Mayor Parker explained. 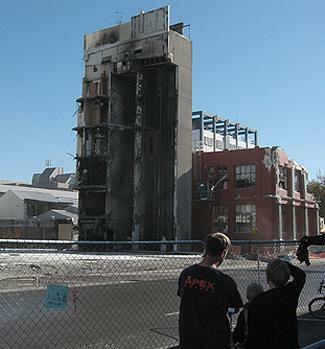 In December, the Central City Plan will be presented to the Canterbury Earthquake Recovery Authority. 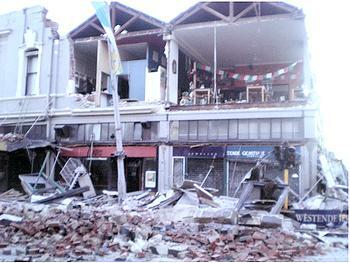 The series of earthquakes that damaged Christchurch began on September 4, 2010 and continued with quakes on October 19, November 14, December 26, January 20 and February 4, leading up to the most disastrous quake on February 22 that damaged much of the Central Business District and the 5.3 magnitude aftershock on April 16. Earthquake Commission has received more than 300,000 claims from the Canterbury earthquakes which began on September 4 and is receiving, on average, around 1,300 new claims daily. The New Zealand Government will spend about $8.5 billion over the next few years help rebuild Christchurch, Finance Minister Bill English said April 12. At this stage, the Treasury estimates the direct cost to the government of the two most damaging earthquakes at about $5.5 billion, which will be fully provided for in the budget on May 19, English said. In addition, the direct cost of meeting residential property damage will be at least $3 billion, making a total direct cost to the government of around $8.5 billion, he said. On the other side of the ledger, the Treasury had previously estimated that the government’s loss of tax revenue as a result of the earthquakes and lower economic growth could be between $3 billion and $5 billion over the next five years.